The Gospel of John begins a little differently than the other three Gospels. It does not start with the story of Our Lord’s life. 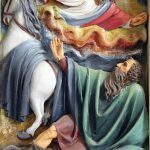 Rather, John starts by proclaiming God to be the Word: “In the beginning was the Word, and the Word was with God, and the Word was God” (Jn 1:1). A few verses later John tells us, “And the Word became flesh and made his dwelling among us, and we saw his glory, the glory as of the Father’s only Son, full of grace and truth” (Jn 1:14). In other words, before man was even created, God was a message waiting to be written on our hearts. God was communication. God was not a word but the Word. And he sent his Son so we could know this Word of God, so we would hear his message and be inspired by his love. Fast forward over 2,000 years and now words are everywhere. Never in the history of the world have we been so overwhelmed with words. Words are published faster and cheaper than ever before. You don’t even need paper. You can download magazines, newspapers and books onto a wide variety of electronic devices. And then, of course, there are the blogs, the tweets, the posts, the online newsletters and all the other ways we are hit with an endless barrage of new words every day. Those words can be humorous or helpful. Annoying or informative. Many of them are deleted before we even take time to read them or see if they have any value. We just don’t have time for all the words. Yet just as it was in the beginning, some of those words are still from God! Because today God still is the Word. And he still strives to make himself known to us through words. Mother Teresa alluded to this reality when she said, “I’m a little pencil in the hand of a writing God, who is sending a love letter to the world.” God does send us his love by inspiring others to write words that will make a difference in our lives. Words that will help us know God better. Words that will help us live our faith more fully. Words that will help us understand difficult teachings and truths. Words that spring from the wisdom of God. This is the beauty of spiritual reading. It is God’s Word made known to us through the work of someone else. 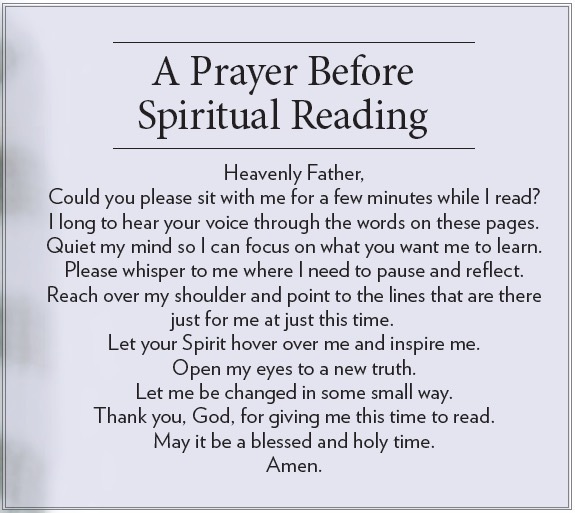 It is why it is so important for each of us to resolve to begin or to expand our practice of spiritual reading. Here are five quick tips to help make spiritual reading a more valuable part of our lives this year. Susan M. Erschen writes from Missouri. As much as possible, plan time for spiritual reading every day. 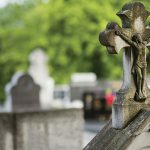 Throughout our lives we usually all make resolutions or Lenten commitments. Pope St. John XXIII was great at making such resolutions. His autobiography, “Journal of a Soul,” is basically a collection of personal journal entries from his life, beginning when he was a young man and going through his papacy. Many of those entries include rules he made for himself after participating in a retreat. Out of those many rules, The Daily Decalogue of Pope John XXIII emerged — 10 commandments he wrote for himself. The rules, which guided this man who changed the face of our Church by convening the Second Vatican Council, are great rules for us to consider in our own lives. For now, let us reflect on just one of those rules — No. 5: “Only for today, I will devote 10 minutes of my time to some good reading, remembering that just as food is necessary to the life of the body, so good reading is necessary to the life of the soul.” If it was possible for an extremely busy pope to devote 10 minutes a day to spiritual reading, then maybe we could do the same. As with any resolution, the best way to begin is to make a plan. When would spiritual reading fit into our days? Could we read the Bible instead of the newspaper at breakfast? Could we keep a spiritual classic by the side of our bed to read for 10 minutes before we turn off the lights? Could we search out some good spiritual blogs or online religious news sources to access on our phone when we find ourselves with time to wait? If 10 minutes a day is not possible, could we dedicate a bigger chunk of time just once or twice a week? Could our Wednesday lunch hour be spent reading a new spiritual book? Could a bad TV night be turned into a good reading night? 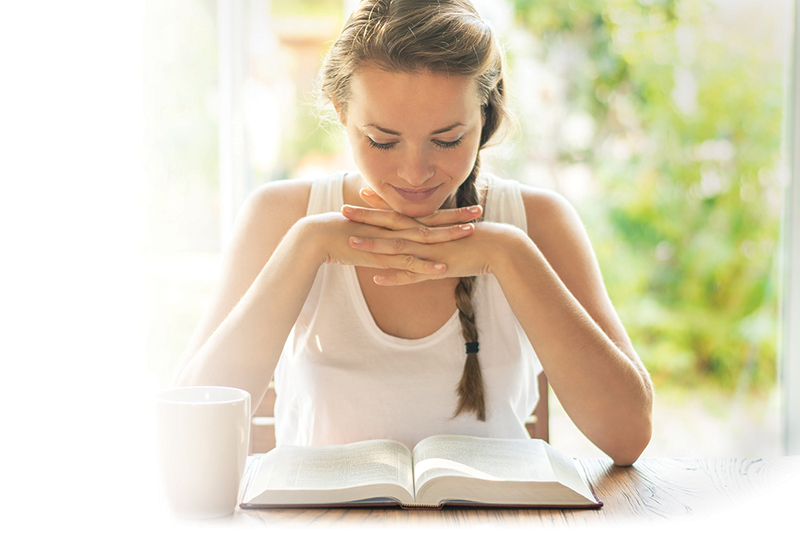 Could we celebrate the Sabbath by doing some quiet afternoon reading every Sunday? We don’t have to commit to the same reading pattern schedule forever. Let us embrace the wisdom of Pope John XXIII and try it only for today, for a week or for a month. If the time we tried does not work, we just need to try a different time or a different place. Pope John believed good reading was as good for the soul as good food was for the body. If we can find time to eat, we should be able to find time to read. Maybe doing both at the same time would be a perfect plan. The next step to planning good spiritual reading is deciding what to read. Realize that if you can read this article, you can read much of the great spiritual writing that is available today. Of course, all spiritual reading should begin with the Bible. However, there is so much more to consider. When we plan time for spiritual reading, we should break it into time for Scripture and time for other blessed writings. Our Scripture reading might begin with the daily readings for the Mass. The Church has wisely chosen some of the very best from the Gospels, the New Testament letters and the Old Testament for these daily readings. However, we should not limit ourselves to just these readings. Even though these readings are spread out over a three-year cycle — which means there are 1,095 different daily readings — this collection only scratches the surface of the rich and wonderful words found in Scripture. We can gain much more insight into the life of Jesus by reading the Gospels from beginning to end. Old Testament books help us appreciate the wisdom and majesty of God. And New Testament letters expand on the beauty of Our Lord’s teachings. We can pick any book of the Bible and just start reading from beginning to end. Another way to read Scripture is to try an ancient monastic tradition of randomly opening the Bible to any page and placing our hand somewhere on that page. Then read three or four lines. See if it speaks to you that day. Many days it will not. But on some days the message will be so clearly a message from God that it will take your breath away. Daily meditations and reflections — They are available in all electronic formats from a wide variety of religious organizations. The writings of Pope Francis — His style is simple, and his words are most inspiring. His documents can be bought in booklet form from Catholic book sellers. 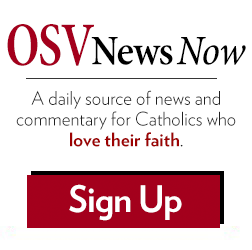 Or we can read or download them in English for free on the Vatican website: w2.vatican.va. 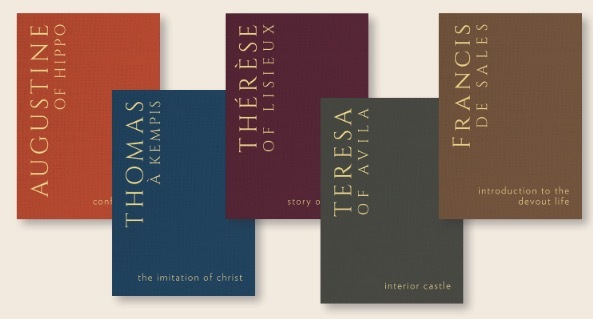 The writings of the saints — Look for new translations of some of the great religious works of such saints as Teresa of Ávila, Julian of Norwich, Francis de Sales, Ignatius and Thérèse of Lisieux. Modern translations of these classics allow us to enjoy the richness of the message in a readable format. 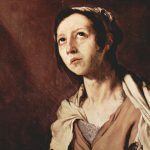 The works of lay and religious writers — God did not stop inspiring writers with Sts. Paul, Peter, James and John. 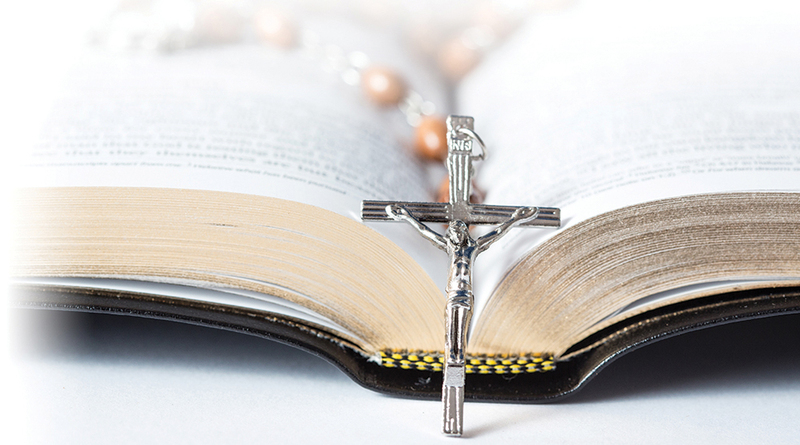 Throughout the centuries God has generously sprinkled his words down upon saints, popes, priests, religious and laypeople. Religious speakers and writers often say their most profound ideas just seem to pop into their heads from nowhere. But these inspiring words do not come from nowhere. They come from God. The more we can open ourselves to a wide variety of spiritual writing, the more we will hear God speaking in our lives. Journaling is a good practice to pair with spiritual reading, as it helps you process the text and how it impacts your life. We should not think of spiritual reading as a chore. Rather, we should see it as a treasure hunt. We are searching not only for words that will comfort and inspire us for the moment but also for thoughts and ideas that will lead us up new mountains or guide us through unexpected dark valleys. Spiritual reading can offer us a smorgasbord of messages. Words of courage for when we are afraid. Words of peace for when we are angry. Words of joy for when we are sad. Words of faith for when we have doubts. Spiritual reading can make sense of things we never understood before. It can open our eyes to our faith in ways we never considered. That’s why when we do spiritual reading we should do it with a highlighter in hand. We want to mark the ideas that leap out at us so we can find them when we need them again. We can also collect the most inspiring words by jotting them down on notecards or, if we are reading online, we can copy and paste them into a document to save. When we find a treasure, we do not bury it back in the ground. We put it someplace where we can see and enjoy it over and over again. That is the purpose of highlighting or making notes when we read. Experts do not seem to agree on the amount of information the average person will remember from a book or article that we read, but it is probably in the 10 to 20 percent range. This is why highlighting is helpful. When we take time to highlight or make notes, three things happen. First, we pause to consider if these words have some importance or relevance to us. Second, we go over them again in the process of highlighting or making notes. These two steps help us remember. But if we do forget, the third advantage is we can easily find the most important ideas again and revisit the message God was sending us. Once a book has been highlighted, we do not need to read the whole book again. Just reading the highlights will remind us of the wisdom the book contained. The best places to start with reading Scripture are the Gospels and Psalms — the Gospels because they share the stories of Jesus’ earthly life and the source of our salvation; and the Psalms because they are the same beautiful prayers, poems and hymns that Jesus would have prayed. This single-column edition has wide margins, giving you room to journal, take notes, record prayers and even doodle, allowing you to dig deeply into the meaning of passages and their impact on your faith. The elegant, leatherette binding comes in two colors — navy and rose. If you want to journal with Scripture but prefer to have the entire Bible at your fingertips, this journaling Bible is for you. 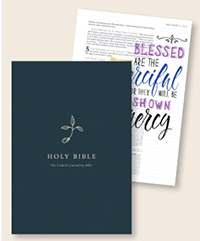 The first of its kind designed for Catholic women, this single-column Bible offers wide margins that are perfect for note-taking, journaling, recording prayers, doodling, drawing and creative expression. The elegant design includes hand-lettered quotes and space for personal reflection. These and other tools for spiritual reading can be found at osvcatholicbookstore.com. If a book has inspired us once, it probably will speak to us over and over again until we have integrated all of its messages. Thus we should plan a way to reread and revisit the great ideas we have discovered in our reading. Some people like to hide the little notes they have made in places where they will find them again. 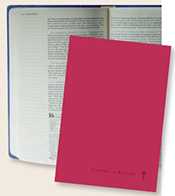 Notes from our spiritual reading can be tucked into a pocket, placed in a desk drawer or used as a bookmark. Others like to put an important thought someplace where they will see it again, such as on the front of the refrigerator, a bulletin board, chalkboard or the bathroom mirror. Of course, after a while we stop seeing these notes, so we need to change them on a regular basis. Another option is to file the best concepts in a computer or physical file where we can go back and review them when we feel the need. The categories for filing can be endless. Some ideas to consider might be areas of faith that challenge us, such as courage, forgiveness, joy, surrender, contentment, gratitude, generosity or service. Once we make files that speak to our own personal spiritual journeys, we can check back and reread a few of our notes on a weekly, monthly or quarterly basis. Or it can be a Lenten or New Year’s practice to review the notes we have made through the year. Finally, a great way to make sure we reread is to keep our Bible and other favorite spiritual books close at hand. We can leave books or articles in our car, on our desk or by the side of favorite chairs. When are waiting or when we have a few extra minutes we can pick up one of these and be surprised by the absolutely perfect message that God delivers into our hands. Buy the collection or individual classics at osvcatholicbookstore.com. Pope St. John XXIII was an avid reader. He often wrote in his journal about the books he was reading. Yet despite his strong belief in the value of spiritual reading, at one point he wrote to himself in his journal, “On the day of judgment we shall not be asked what we have read, but what we have done” (“Journal of A Soul”). This is a strong reminder that our spiritual reading is just entertainment if it does not lead us to change and to action. If we are not developing a better relationship with God or learning to live the Gospel more fully, then we might be missing the whole point. We might as well spend our time watching “Sesame Street,” for at least Grover and Ernie will teach us to share and be kind. Spiritual reading can only change us if we let it seep into our souls. This takes time. Simple reading probably will not be enough. That is why it is good for us also to meditate and journal on what we have read. Even if we are that gifted person who can remember almost everything we read, remembering is not the same as integrating an idea into our lives. We might remember that we read a great review about a certain restaurant, but if we never go to the restaurant, what is the value in remembering? Likewise, even if we remember great inspirational ideas, they do us no good if we do not let them change our hearts. Our spiritual reading will change us when we pray about the words we have read. In this kind of prayer, we actually start a conversation with God about the ideas he has placed before us. We can do this through meditation or journaling. One way to meditate on our reading is to pick a phrase that stood out for us. Then just sit quietly for five or 10 minutes, repeating that phrase over and over while listening to see what God might say to us about this idea. This can be a great practice to do right after reading. Or we can jot down the words and take them with us into our day. We can repeat and reflect on them when we are quiet and alone with God, such as while we are taking a walk, sitting in traffic or in Eucharistic adoration. 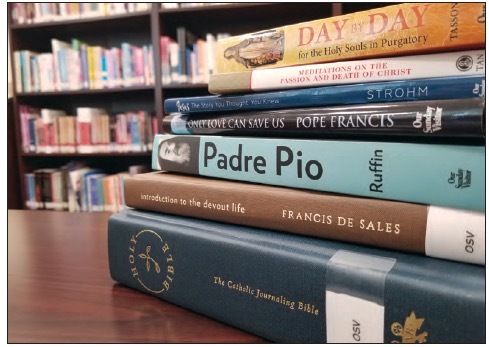 Consider, for example, if your spiritual reading for the day was from Pope Francis’ recent apostolic exhortation, Gaudete et Exsultate (On the Call to Holiness). As you read, you underlined the words, “Do not be afraid of holiness” (No. 32). This is a phrase you could repeat during a few minutes of deep breathing after your reading. Inhaling, “Do not be afraid …” exhaling, “… of holiness.” Questions might pop into your mind. 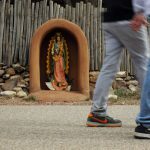 Are you afraid of holiness? What does holiness mean to you? How can you be more holy? If you continue to mentally carry this phrase with you through the day, you might encounter an opportunity where you have a chance to do something holy. And the Spirit would whisper to you, “Do not be afraid of holiness.” That is how spiritual reading makes a difference in our lives. 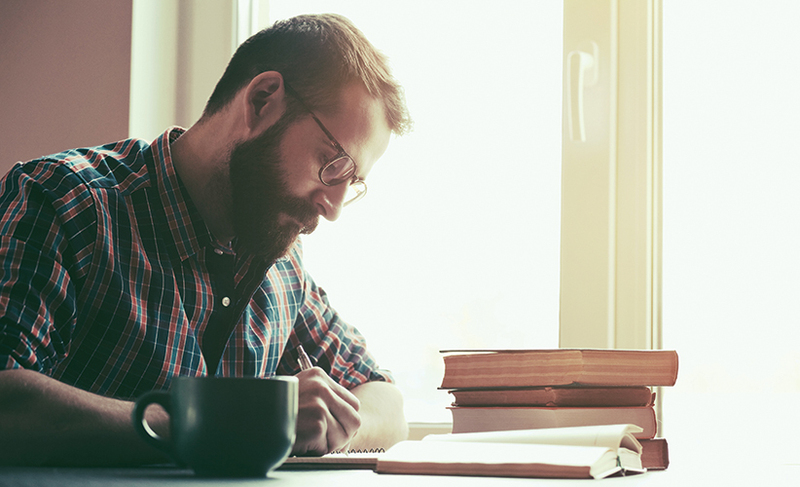 A second strategy for praying with inspiring thoughts is to journal them. In this case, imagine that while reading Gaudete et Exsultate you underlined the sentence, “Let yourself be transformed” (No. 24). In your journal you could ask God, “Why did I highlight this line? Do I feel that some part of my life needs to be transformed? What part is it? And how do I even begin to change anything?” The beauty of journaling is that, at first, we are just writing the questions and ideas that are bouncing around in our heads. We may even wonder why we are wasting time writing this down. But at some point, it begins to feel as if God has taken the pen from us. Words and thoughts start to flow across the page, and they do not seem to be our own anymore. We get ideas we never thought we would have had. Like all spiritual writers, our words begin to be inspired by God. And we suddenly find ourselves drawing just a little closer to the amazing, divine being we call God.